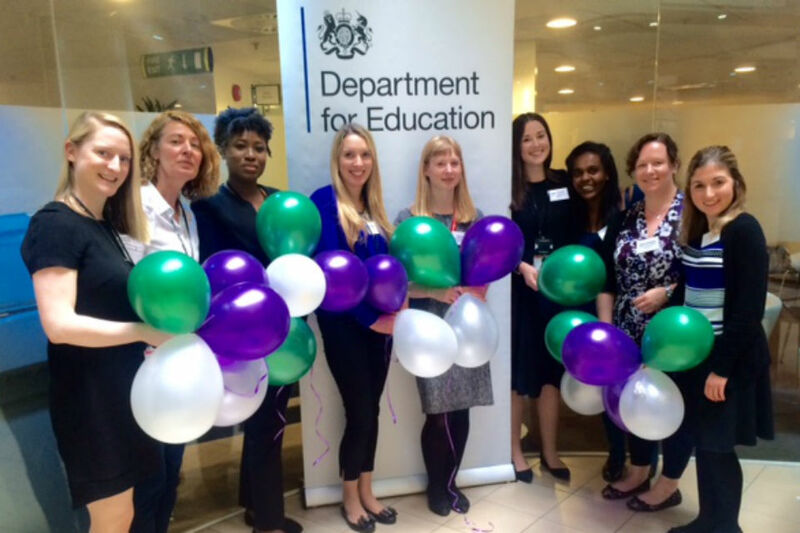 We are the first co-chairs of the Department for Education (DfE) Women’s Network. This is a topic close to both of us, as we also have the privilege of spending our day jobs working in gender policy for the Government Equalities Office (GEO). Even with that knowledge base I’m glad to say the network has offered us both a fresh set of challenges that no amount of policy expertise could have prepared us for. 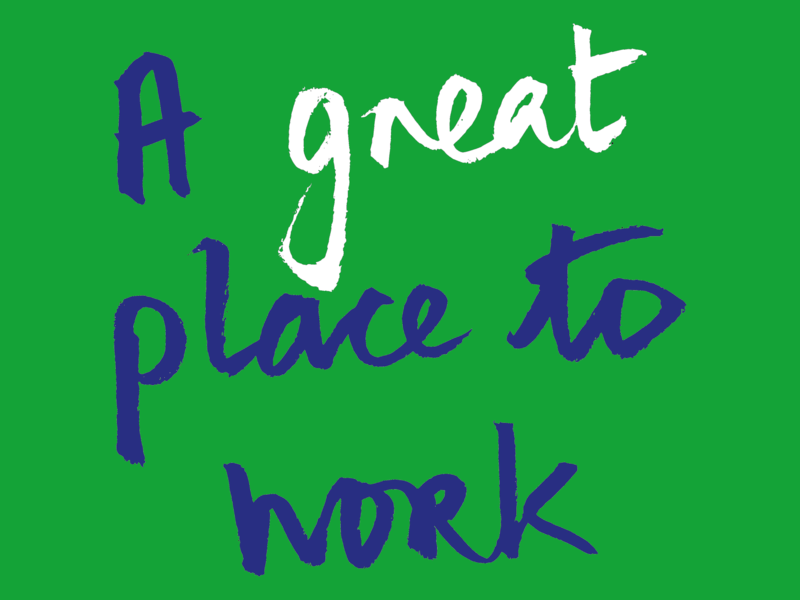 The GEO has a history of bouncing around government departments to follow the Minister for Women and Equalities, and in September 2015 we moved into our new home at the DfE. We were both struck by the absence of a women’s network there, but were met with reassuring discussions about the number of women working in the department – at the time we joined, the department was 58% women. However, there was a staggering lack of women in the top roles and plenty of people asking for the support and opportunities a network can offer, regardless of what the figures said. Our experience of gender policy, particularly in the workplace, gave us a head start in understanding that numbers – even 58% – can tell a thousand stories. But most important, if people are asking, you listen. So we did. Many of those voices formed our first committee, who worked tirelessly behind the scenes in late 2015 to establish what kind of path we would forge for ourselves in the department and what we wanted to achieve. Network 58 – aptly named to represent the current status – held its formal launch in London in June 2016, live-streamed to our other six sites. We introduced ourselves to the department back in March on International Women’s Day, but this launch was our opportunity to welcome members, introduce our fantastic committee, and set out our stall to ensure that the department is a great place for all staff to work and thrive. Well before the launch, in those early days before we ‘went public’, we established some guiding principles for the network. These were born out of some tough choices that – as a group of volunteers – we couldn’t be all things to all people, but we could certainly be role models for equality and diversity. First, we are collaborative, intersectional and inclusive. If we know anything from working across government with other women’s networks, it’s that silos don’t deliver progress. 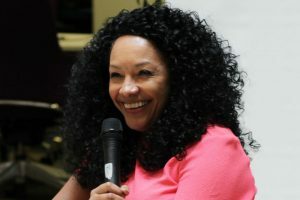 So it was to our absolute delight that we welcomed as our guest speaker Kanya King, MBE, CEO and founder of the MOBO Awards, to speak to the department about ‘personal impact with authenticity’. Kanya gave us her views on authenticity, the value of networks to foster authentic power, and her passion for equality and diversity – which is absolutely central to her work at MOBO to celebrate diversity and young talent through the arts. We were all inspired by her pragmatic, thoughtful responses, which was obvious from the long line of people waiting to bend her ear and get a selfie afterwards! Our second principle is that we are evidence-based. Our launch was the perfect opportunity to introduce our Gendered Workplace Cultures Survey, which challenges the department to reflect on what we do well and what we do less well to ensure gender is not a barrier to success and career fulfilment. The broad survey touches upon everything from flexible working, to harassment and the gender pay gap. We’ve been practising an evidence-based approach since the beginning and have introduced an events calendar to take us to the next International Women’s Day, which responds to the asks from polling of our membership (to which nearly 400 responded!). Around one-third of our events are outside London, are in collaboration with our DfE diversity networks, and offer a variety of activities, from speed mentoring with members of the Senior Civil Service, to an art exhibition that is touring all DfE sites. A vital principle of Network 58 is our pledge to be a critical friend to the department. Our director-general and Gender Champion Paul Kissack wholeheartedly supports our aims. At the launch he looked back at the history of women in the Civil Service, reflected on where we are now, and was frank about where we need to be. To that end, we want to challenge all departments and networks across the public sector to keep listening. The numbers can say one thing, but people’s experiences can say another. If people are telling you about what works for them or that there’s more to do, assume they’re right. One year on from joining the DfE, it’s the understanding and wisdom of everyone else in the department that is making Network 58 a success. Our unique experiences of the workplace add up to a collective account. Keep upping your targets – better can always be improved. Congratulations Carolyn, Beth and all of Network 58! I really enjoyed reading about everything you've been doing over the past year and I think your guiding principles are brilliant. Congratulations Carolyn and Beth on the setting up of your Women's Network 58. As a member of the newest FCO Staff Association: Wellbeing Network, I can well appreciate the effort and time required in getting set up and the challenge in seeking engagement across all levels. We were launched in June 2015 and now have a global network in place. We also work closely with some of the Wellbeing Groups within other Government Departments such as the Home Office who share similiar aims and objectives. On behalf of the FCO Wellbeing Network, I wish you continued success.